This movement led to the re-institution of legislative government in the Virgin Islands. 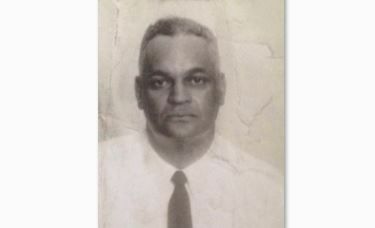 Mr Stevens was also a successful lawyer who helped found a mutual insurance company and savings bank in Harlem New York, fought job discrimination against blacks and became the first president of the Uptown Chamber of Commerce. He was often described as a “pioneer for blacks in the New York legal community”. According to a press release, the Acting Director of The Virgin Islands Studies Institute of the HLSCC, Dr. Katherine Smith, is pleased to make the announcement that The Hope R. Stevens Archives Collaboration Project between the City of New York Dominican Studies Institute (CUNY) and the Virgin Islands Studies Institute coincides with the announcement of Virgin Islands Heroes Project at the Institute. The first two profiles to be highlighted in a variety of ways will be Pereen Georges and Hope R. Stevens. The great majority of the enslaved population had perished at the hands of Arthur Hodge in the most sadistic and cruel manner. The trial and hanging of Arthur Hodge stands out in Caribbean history as one of, if not the only example of a shift in ideology which began to value the lives of the enslaved persons. Acting President of the college, Mrs Judith Vanterpool says that she is particularly pleased that this announcement is being made on the birthdate of an instrumental BVIslander which is February 4, 2019. 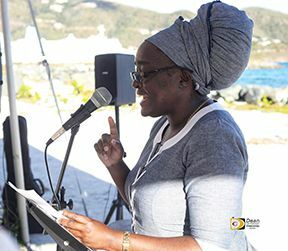 “We are very excited about the Virgin Islands’ Heroes Project which will introduce the amazing contribution of Pereen Georges who was presented to the BVI community this year at the territory’s emancipation festival. In addition, most members of the BVI community would not know who Hope R. Stevens was and what great achievements he has made to the local and West Indian political development and constitutional advancement. We at the HLSCC are honoured to house this collection,” Ms Vanterpool said. Nuff respect for Mr. Steven on his fight against racial hatred, race discrimination, national origin discrimination, and for freedom and adult suffrage. Clearly, Mr. Stevens was a leader in the 1949 March that resulted in the reestablishment of LegCo and some direct voting for representatives 1950; it (LegCo) was dissolved in 1901. I have heard about Dolph Faulkner, Glanny Fonseca, Carlton de Castro........etc in their l leadership on the Big March in 1949. Dolph Faulkner should have gotten more recognition. To my knowledge, he never made it to LegCo? Is it because he may not have owned property and was from Anegada? I would like to add the bank that Mr. Stevens helped formed in Harlem, NY is now known as Carver Federal Saving Bank and is the largest black owned bank in the US. There is a whole history to tell concerning Mr. Stevens and his family legacy some is quite admirable while some is not so pretty. I do not know how BVI will progress on a legacy of injustice, it is becoming more complicated as time goes by...what we are facing now is not by accident. There are those who would have us believe that NDP is responsible for all the woes of this country...that is not true. Our problems started long before NDP as a matter of fact not many of our aspiring politicians have a clue about the complexities of this country. Sad we are only interested in profit and not justice.